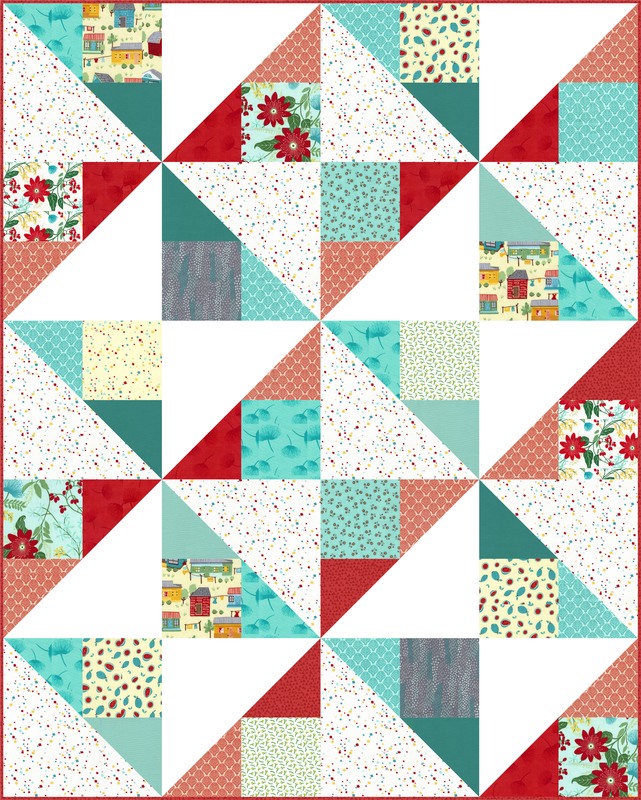 This is the home of the Garden Confetti Video Quilt Along with the Crafty Gemini and her debut fabric collection, Dominicana for Timeless Treasures Fabrics. Watch the video below and then check back next Friday, March 10th to get busy cutting! Click to watch Video #1! Click to watch Video #2! Click to watch Video #3! Click to watch Video #4! Click to watch Video #5! Click to watch Video #6! 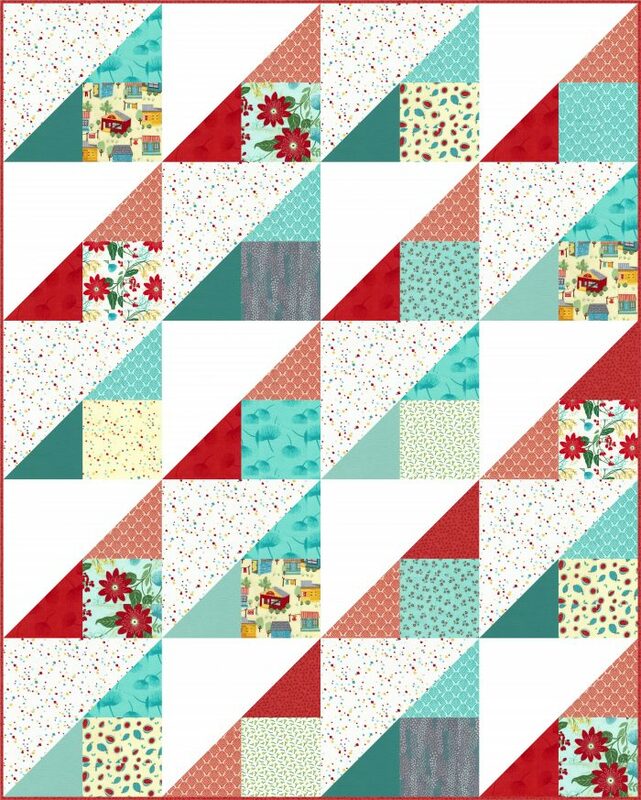 Have a look below at 3 color images of the different design layouts I’ll discuss in the video quilt along lessons. I chose to make Option #2 but you can make any of these 3. If you’re feeling extra adventurous you can make all 20 quilt blocks and then play with them on your design wall to come up with your own design variation! 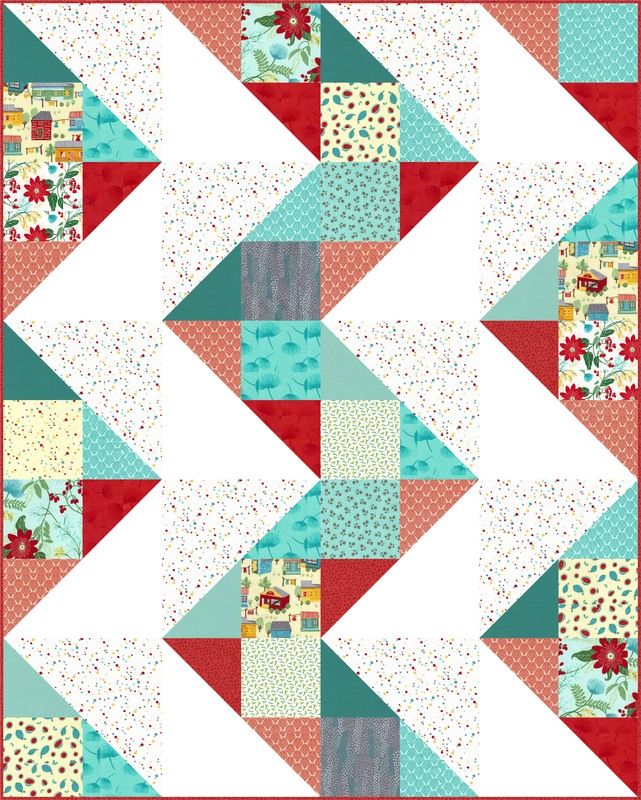 I think you will be pleasantly surprised to see how many different quilt designs you can come with using the same 20 blocks. Below are just 3 of the many design options.